Ramy Brook "Paige" woven top. Approx. length: 28"L from shoulder to hem, 30"L down center back. Halter neckline; self-tie closure at back. For in-store inquiries, use sku #51040. 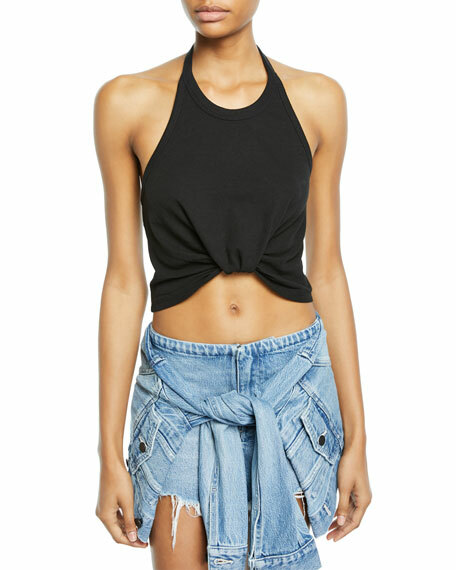 T by Alexander Wang tank with twisted front detail. Halter neckline. Sleeveless. Relaxed fit. Cropped hem. Slipover style. Cotton/polyester; cotton/spandex trim. Machine wash. Imported. Exclusively ours. 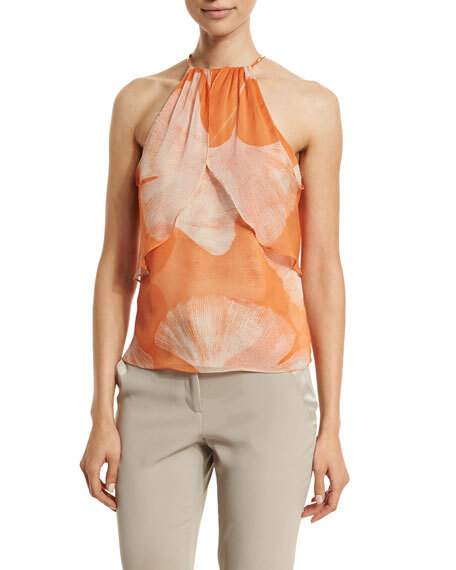 Elie Tahari "Regan" silk blouse with twisted halter collar. 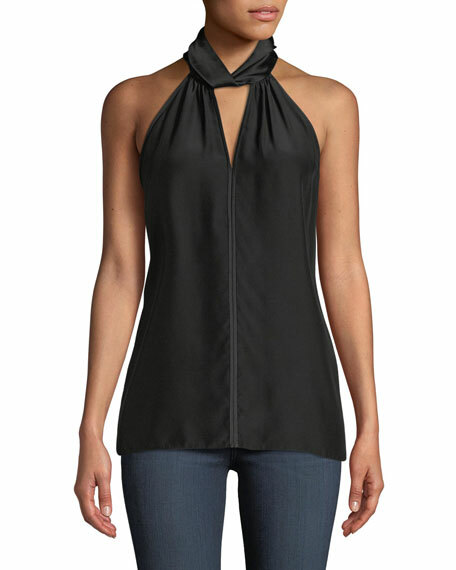 High neckline; split front; buttoned keyhole back. Sleeveless; racerback styling. Slim silhouette. Even hem. Slipover style. Silk. Imported. 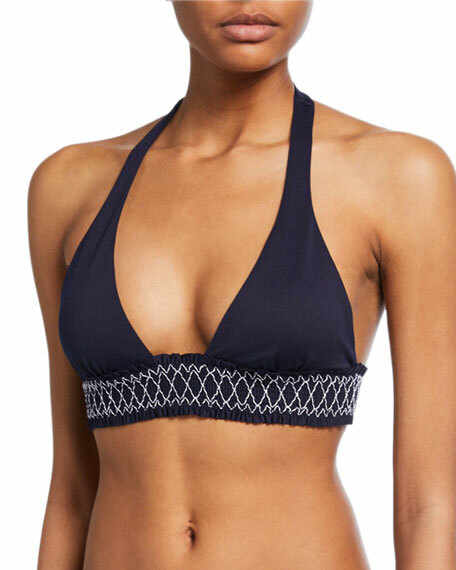 Heidi Klein "Anguilla" bikini top with smocked panel. Halter neckline. Fixed triangle cups. Removable padding. Ties at mid-back. Nylon/spandex. Made in Portugal. Bottoms sold separately.